It’s only a few more weeks until Christmas and you are probably planning ahead and thinking about what Christmas activities you can do in your care home. If you need some inspiration or ideas to kick start your own then you’ve come to the right place. It’s important to give residents special treatment at Christmas and make them feel festive. So to ensure they do, here are some tips and ideas to help you plan activities for the residents at your care home. Step 1: Before you start planning when and how you are going to do the activities, first make a list of the activities that you could do over Christmas that you are sure the residents will enjoy. 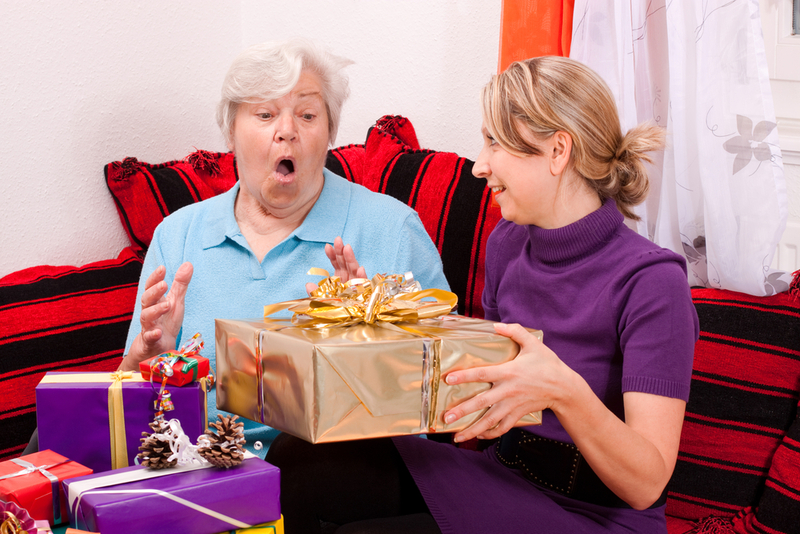 Find out from your residents how they would celebrate Christmas before they moved to your care home to get an idea of what they enjoyed; the food and drinks they liked, and the gifts they liked to receive. It’s important you make the Christmas period as perfect as possible for them. Step 2: Create a diary of events and then make a plan of what you need to organise. To make things run more smoothly enlist help and give yourself and your colleagues deadlines. Think about inviting resident’s family and give them plenty of notice. The family and friends of your residents are so important, try thinking of activities that you are sure are going to suit everyone so that you feel like a large community. Step 3: Cards with kind words can mean a lot. You could create a Christmas post box for staff and residents to use to send out cards to each other to support one another. For those living in a retirement village such as Extra care, it can be heart-warming to receive lovely cards from those in their community as you can sometimes feel isolated or lonely. If this is a resident’s first Christmas in a new home, they might need this extra support from the care home. Step 4: Contact schools, organisations or groups like the Brownies or Guides to visit your care homes to put on concerts and entertain your residents. It can be a great experience for others to learn about the elderly and get a great experience and sense of community. If a class had been working on a nativity play at school they could also perform it at the care home for the residents. A nativity play is a great way for the residents to get into the Christmas spirit. Step 5: Try and think of an activity that the residents may have not done before. Something that will give them a new experience and a sense of enjoyment. Could you take them on a visit to somewhere new? Giving the residents a new experience will help create a Christmas to remember and be satisfying for their family knowing that they are enjoying themselves and not just sitting inside all over the festive period.